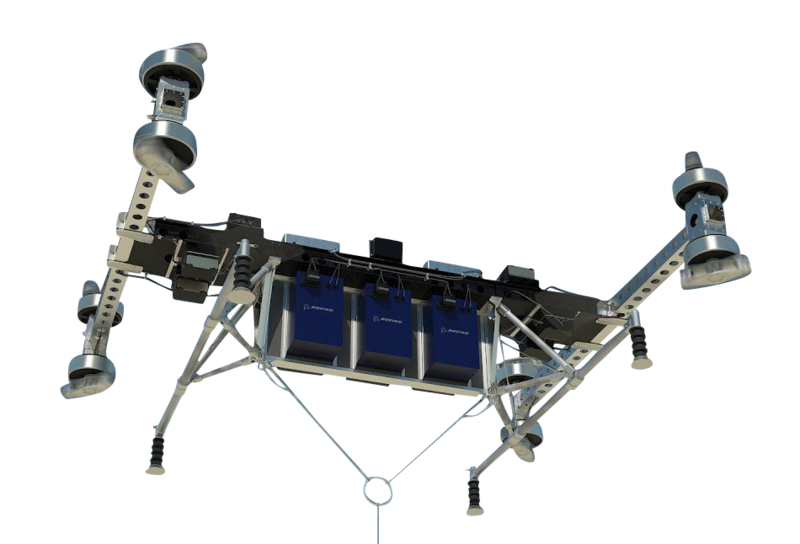 The Boeing Cargo Air Vehicle (CAV) is an electrically powered aircraft that can carry up to 500 lbs of cargo (or persons) that was designed and developed in under 3 months by a team of Boeing Engineers. Boeing's CAV project is unique in that it completed an entire product conception, design, production, and flight test cycle in around three months, which is extremely quick for the aerospace industry. Furthermore, although the CAV is designed to handle cargo, the 500 lb payload could very easily be converted into a light, yet strong passenger enclosure that could carry two average sized humans, all while the CAV is autonomously piloted. This project is also unique because it is Boeing native; although Boeing acquired Aurora Flight Sciences in November of 2017, Boeing itself is continuing its own research into the eVTOL field.